Dr. Ronan Freyne and the rest of our friendly staff take pride in helping your smile reach its fullest potential, but we also understand that it’s just one component of your overall appearance. Our quality spa services can give the rest of your face a youthful boost as well. Please contact our Chevy Chase location today if you have any questions, or if you’re ready to schedule a first visit. 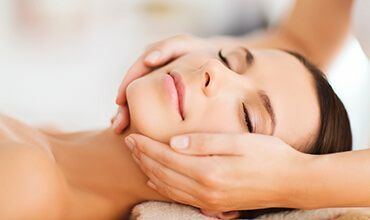 If you’re ready to feel pampered and enjoy a relaxing break, Cindy is available to provide customized facial treatments. At Dr. Freyne’s we offer a variety of facial services, including facials. Each facial is tailored based on your particular needs or what you are in search of. Once you’re finished, your skin should feel refreshed, clean, and ready to provide the perfect complement for your beautiful, healthy smile! During this procedure, Cindy will resurface the skin with a wand covered with microcrystals. Pieces of dead or flaking skin will be effectively removed and then vacuumed away, and the growth of young skin cells will be encouraged as a result. Your skin will be left feeling soft and smooth, and the appearance of fine lines, wrinkles, acne, and other imperfections should be minimized. It’s the ultimate advancement in non-invasive skin conditioning! If you’re hoping to achieve a more radiant complexion, talk to our team about undergoing a facial peel with Cindy here in Chevy Chase, MD. A safe and rejuvenating substance will be applied to the skin so as to remove the top layer, revealing skin that’s newer and much more youthful. 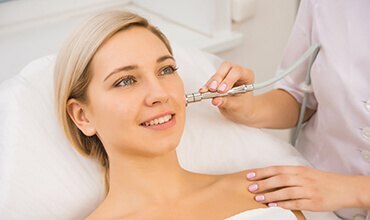 This procedure can also offer several other great benefits, including improving skin texture, removing debris from the skin’s surface, correcting the gradual effects of damage from the sun, and more. All services are non-invasive and require no downtime, which means the results are comfortable as well as immediate.